Churcher, C.s.. "Bear (Animal)". The Canadian Encyclopedia, 18 May 2018, Historica Canada. 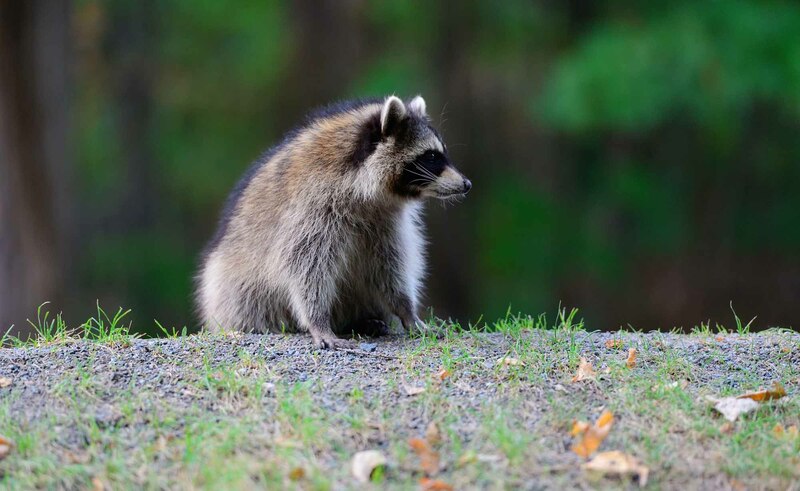 https://www.thecanadianencyclopedia.ca/en/article/bear-animal. Accessed 21 April 2019. Bears (of the family Ursidae) are stocky, bob-tailed mammals with 5 clawed toes on each paw. Three species inhabit Canada. Wild Grizzly bear feeding on summer foliage, Kananaskis Country, Alberta. 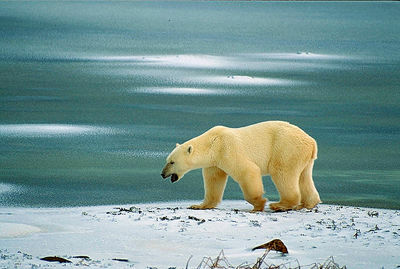 Polar bears remain active during winter, hunting and travelling on sea ice (Corel Professional Photos). Black bears, the most common and widespread in Canada, may also be brown or cinnamon (Corel Professional Photos). Large males may weigh 250-400 kg and large females 150-200 kg (Corel Professional Photos). 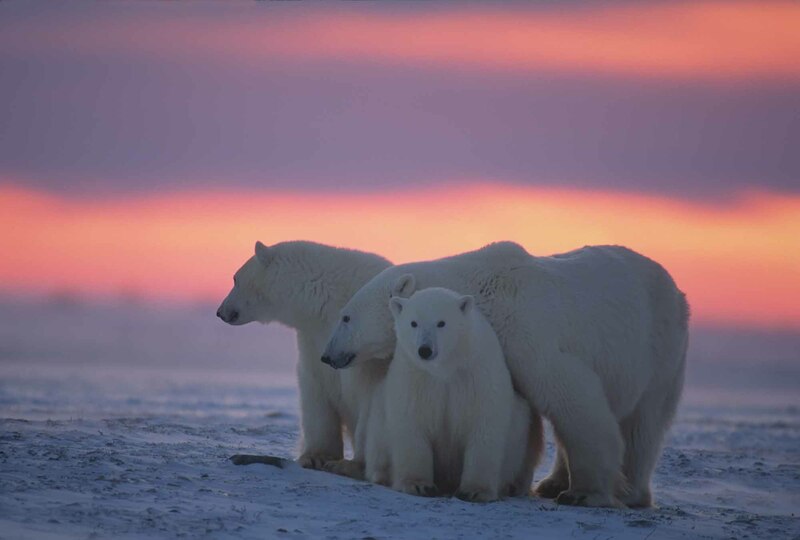 Polar bear with her yearling cubs against Arctic sunset. 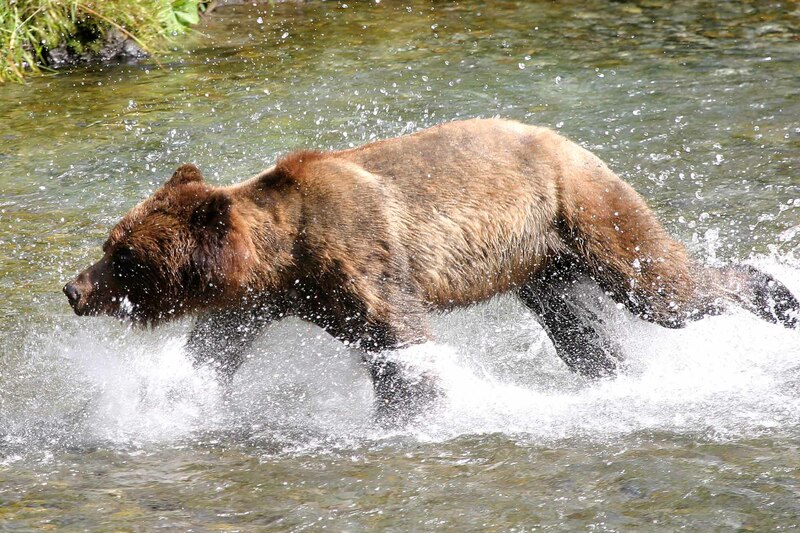 A black bear fishes for salmon in a Pacific coast stream (courtesy Thomas Kitchen). Grizzly bear in search of salmon, Stewart & Hyder. Border of Canada and Alaska. 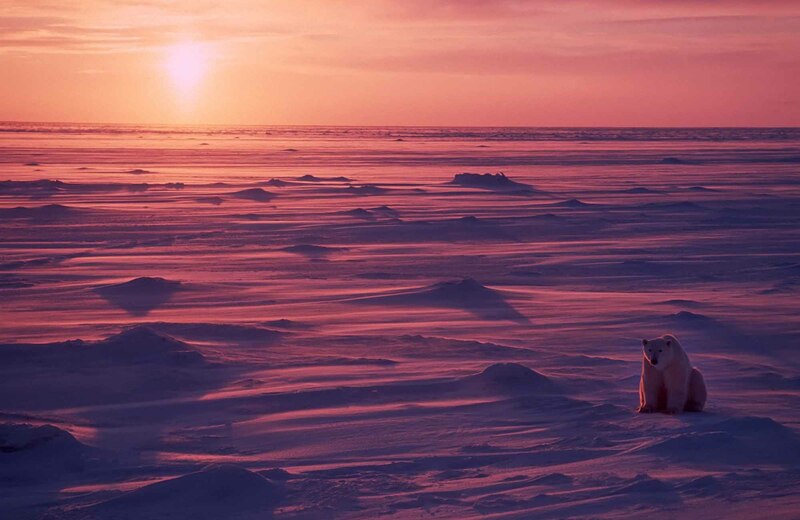 Polar bear at sunset in the Canadian Arctic. Canadian landscape with black bear in Alberta. 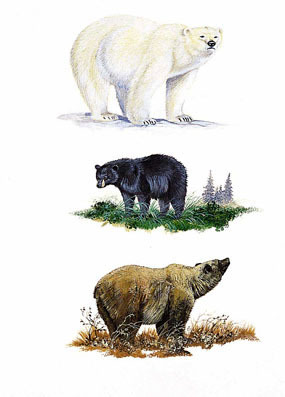 The distinctive features of the polar bear (Ursus maritimus), the grizzly bear (Ursus arctos horribilis), and the black bear (Ursus americanus) (artwork by Jan Sovak). 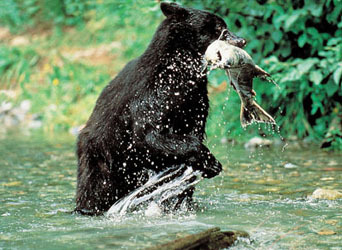 Black Bear Fishing in River, British Columbia. 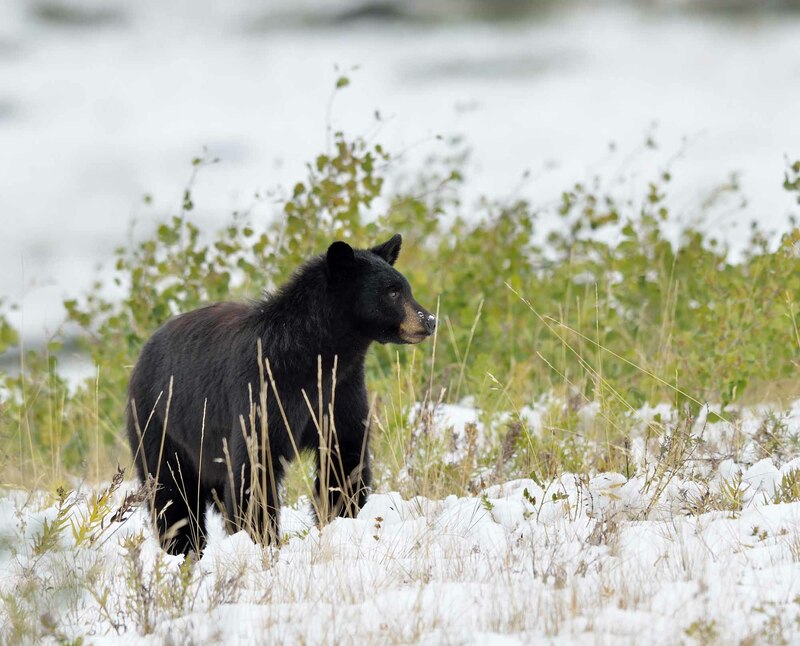 A mother black bear (Ursus americanus) leads her cub across a small river or creek in an early season snow near Waterton Lakes, Alberta. A small black bear (Ursus americanus) looks up as it pauses from digging in fresh snow looking for food near Waterton Lakes, Alberta. 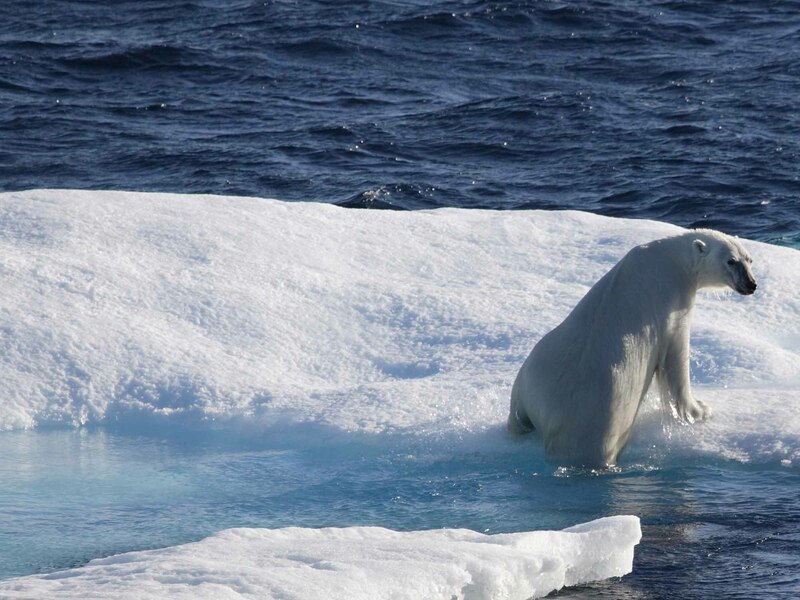 Polar bears inhabit ice and coastlines of arctic seas (Corel Professional Photos). 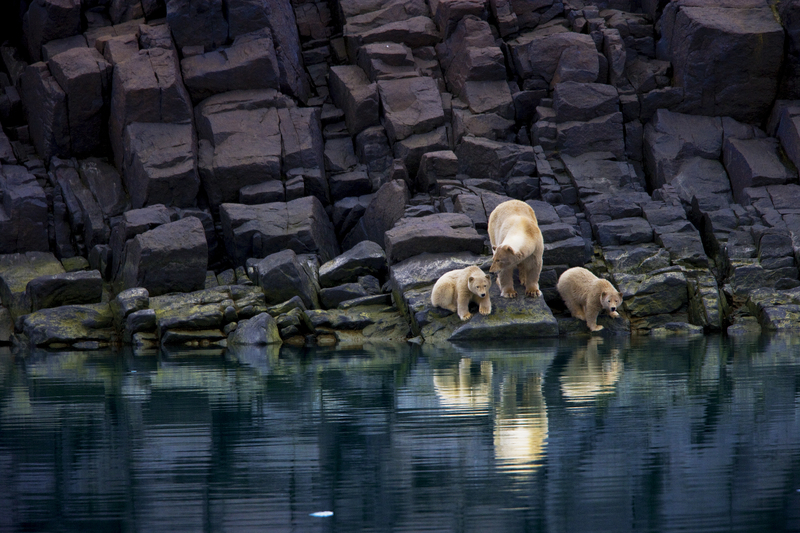 Polar bears are found in coastal regions of both territories and in Manitoba, Ontario and arctic Québec (Corel Professional Photos). 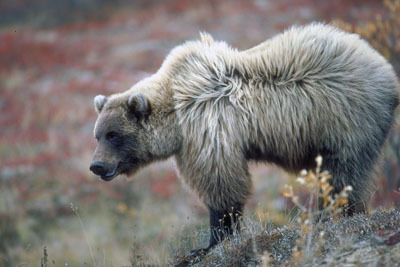 Female grizzly bear with yearling (courtesy Parks Canada). 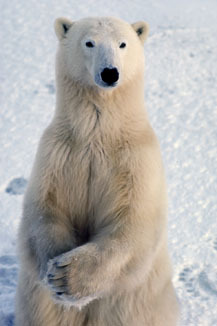 Polar bears eat mainly seals, which they hunt by waiting beside a breathing hole in the ice (Corel Professional Photos). 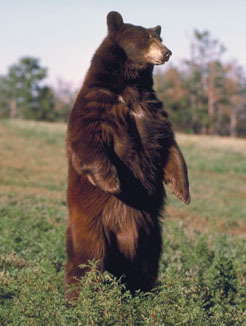 Bears (Of the family Ursidae) are stocky, bob-tailed mammals with 5 clawed toes on each paw. 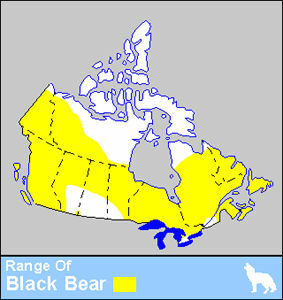 Three species inhabit Canada: the polar bear (Ursus maritimus), grizzly bear (U. arctos) and black bear (U. americanus). 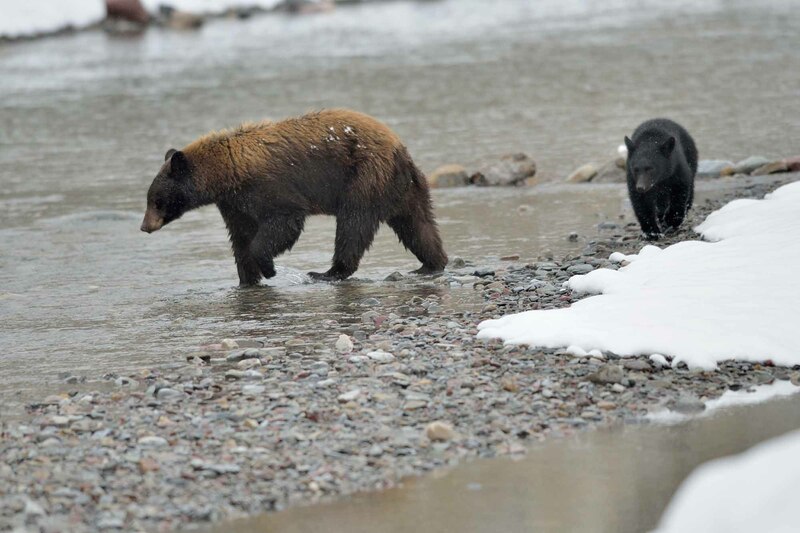 Black and grizzly bears occupy coniferous forest, deciduous forest, swamp and tundra habitats. 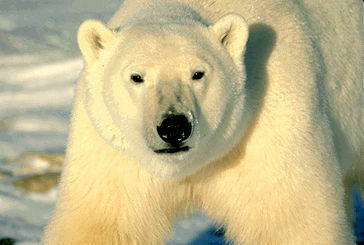 Polar bears occupy the Arctic coasts and islands. 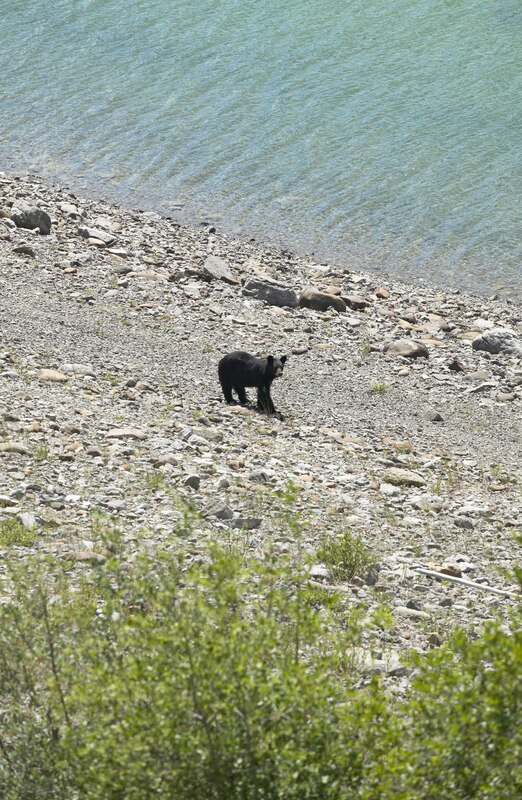 Black bears, the most common and widespread in Canada, may also be brown, cinnamon, blue-black or even white. 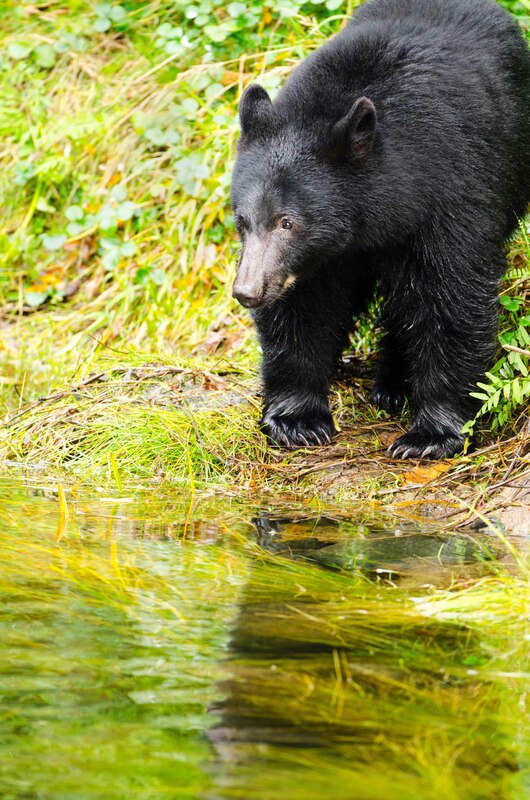 Black bears are considerably smaller than grizzly bears or polar bears, which are the largest land carnivores in North America; adult male black bears weigh 115-270 kg, while male grizzly bears weigh 250-350 kg and male polar bears weigh 400-600 kg. Female polar bears and grizzly bears tend to be about half the size of males, while female black bears can be 10-50% smaller than males. 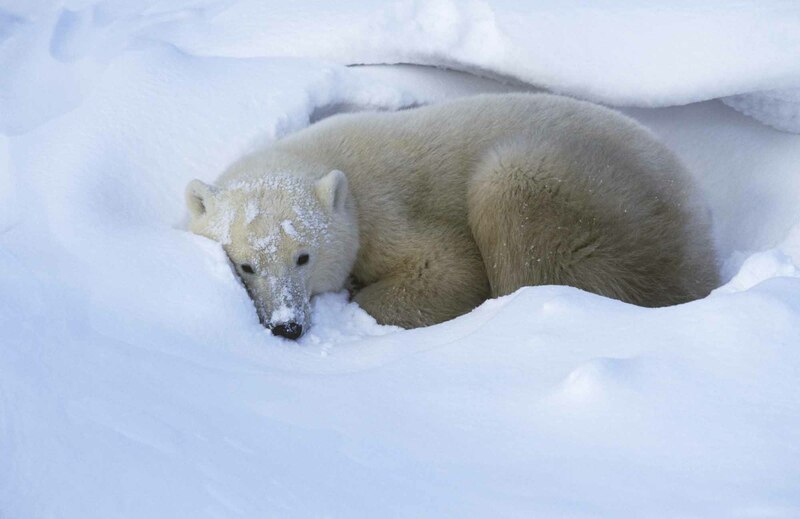 Contrary to popular belief, in winter bears sleep in dens but do not truly hibernate. Black bears begin breeding at 3 years of age, with mating in June-July. Embryos do not develop until December because of delayed implantation -- a process which is common to all three species. In delayed implantation the fertilized egg develops slowly while floating in the uterus. Eventually it becomes attached to the wall of the uterus and development continues until birth. In January or February, a litter of 2 black bear cubs (range 1-3) is born in a den. 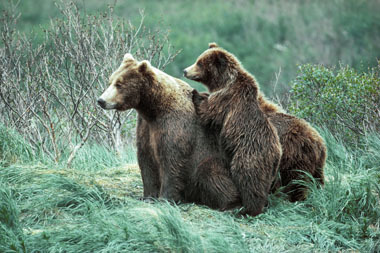 Grizzly bears and polar bears reach sexual maturity later than black bears and breed less often. 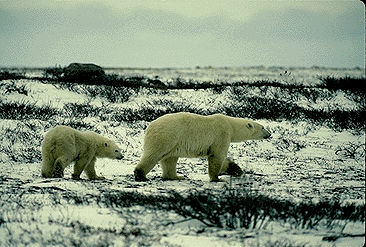 Otherwise, reproduction is similar for the three species, although polar bears mate earlier in the year (April-May) and produce cubs from late November to January. Black bear cubs reach independence earlier than grizzly or polar bear cubs (range 1-3 years). Bears can live up to 30 years, although 20-25 years is more typical. 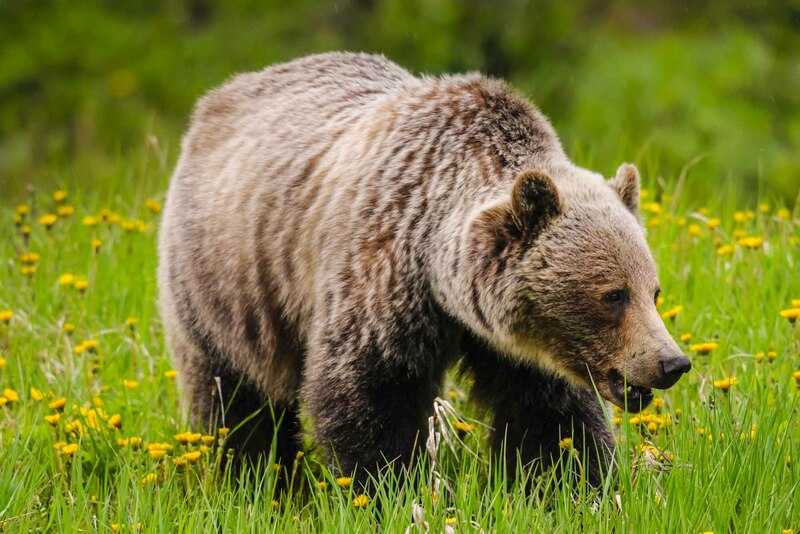 Grizzly and black bears are omnivores, eating mainly berries and nuts in season and insects; they also eat fish and small mammals as well as newborn deer, moose, and elk on occasion. These bears will also eat growing grain, vegetables, domestic stock and carcasses, and will scavenge garbage from camps or dumps. 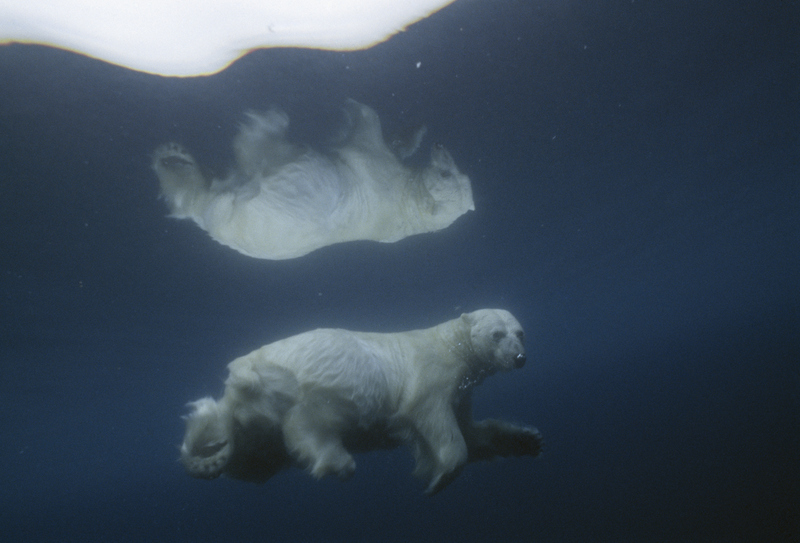 Polar bears prey mainly on seals and small whales. 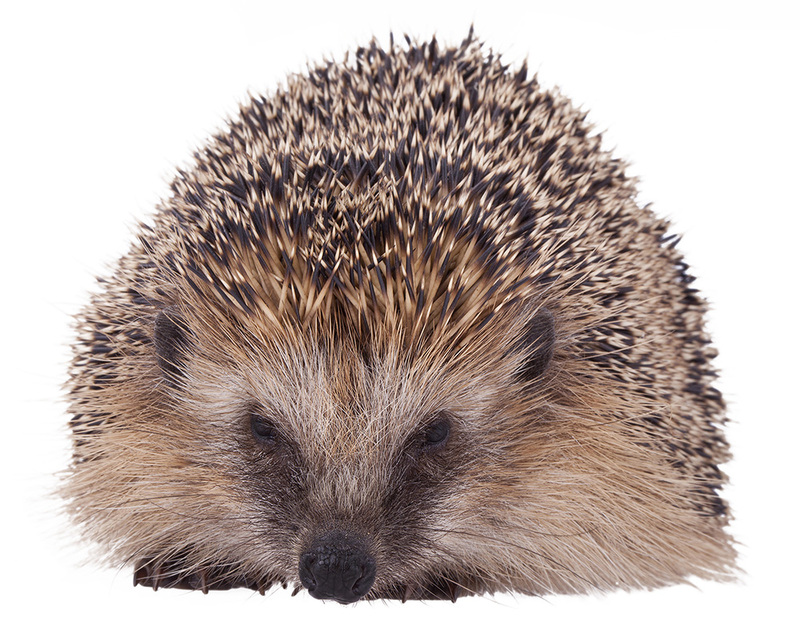 Adults are solitary and usually avoid contact with humans; however, they may attack if starving or to protect cubs. Bears are hunted for their skins and flesh. The flesh of polar bears in particular often contains trichina worms, which can be transmitted to humans if the meat is not thoroughly cooked (see Food Poisoning). 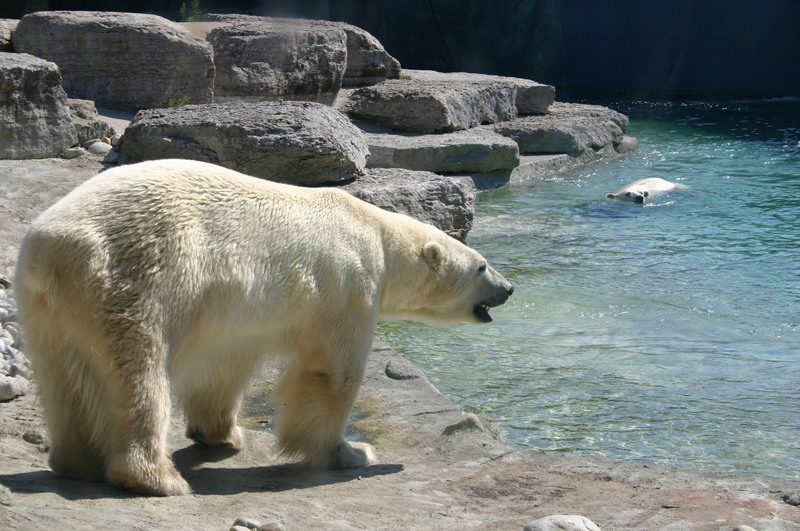 Polar bears and grizzly bears have been affected by the loss of habitat due to global warming and human encroachment on their territory. The ancestors of modern bears inhabited North America as early as Miocene times (20-25 million years ago) and evolved into large, small and long-legged cursorial (or running) forms. During the Pleistocene (about 2 million to 10 000 years ago), a large long-legged, short-faced cursorial bear (Arctodus simus) existed in North America. This running bear was as big as a polar bear and a formidable predator. It is likely that this bear was primarily carnivorous; some researchers believe that it ran down its prey over open country while others suggest it was a scavenger, using its size to drive other carnivores away from their kills. Remains have been found in Alaska, the Old Crow Plain of the Yukon, and the western United States in association with other extinct mammals: mammoth, big-horned bison, shrub-oxen and sabre-toothed cats. The American black bear also lived in North America during the Pleistocene era. Unlike the Arctodus simus (which became extinct about 10 000 years ago), it survived into the modern era. Its ancestor, a small primitive species called Ursus abstrusus (or U. minimus), likely migrated to North America about 3.5 million years ago. Brown bears (grizzly bears) migrated to Alaska much later, about 100,000 years ago, and did not move south until about 13,000 years ago. Polar bears evolved from the European brown bear less than one million years ago and the 2 species can still hybridise (ie, crossbreed).